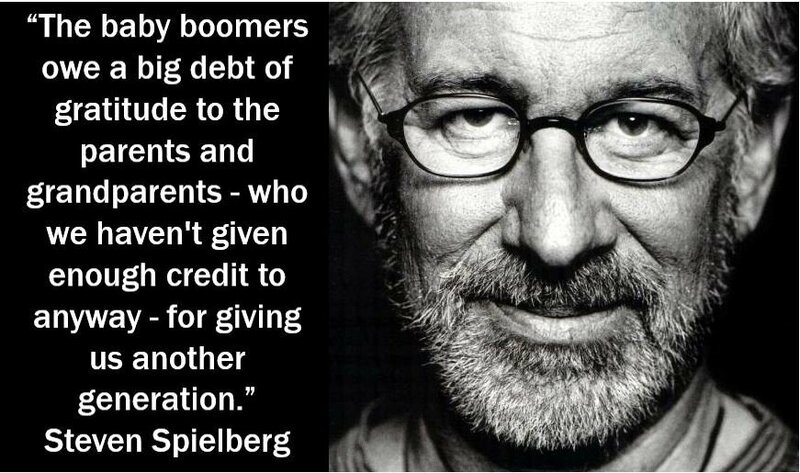 Baby boomers or boomers are people who were born between 1945 and the mid-1960s. From 1945 to the mid-1960s the populations and economies of several western nations, including the United States, grew dramatically. After the end of the Second World War (1945), there was a marked increase in the birth rate. We call that post-war baby explosion the baby boom. In fact, during the baby boom, more than 76.4 million babies were born just in the USA. Historians say that the post-war baby boom occurred because women got married at a younger age. Additionally, many people had put off starting a family during WWII. As soon as the war was over, people’s attitudes and expectations changed. In 1945, there was a sense in America that everybody was entering an era of prosperity and safety. From 1945 to the mid-1960s, wages increased significantly, businesses thrived, and the consumer society blossomed. 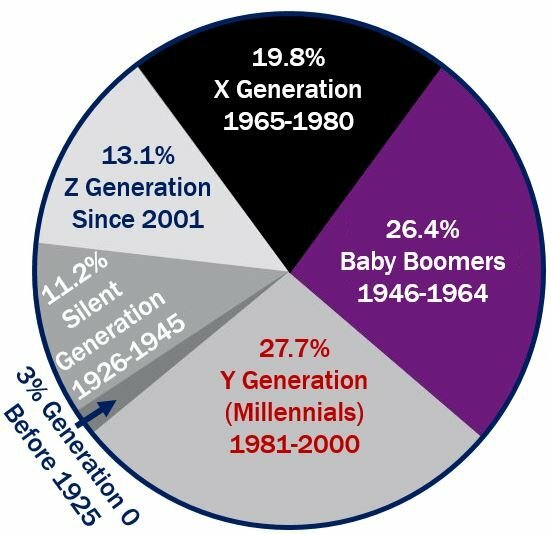 Millennials, people born in the late 1970s and 1980s, call themselves the offspring of the Baby Boomers. 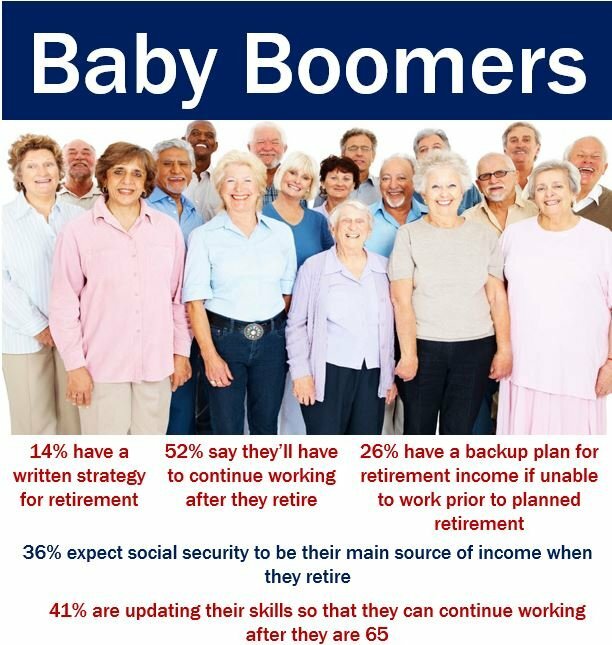 Economists frequently quote baby boomers in the United States. This is because they represent a substantial proportion of the country’s population – nearly twenty percent. Their spending habits, saving habits, and trends have a significant impact on a country’s GDP growth. GDP stands for gross domestic product. 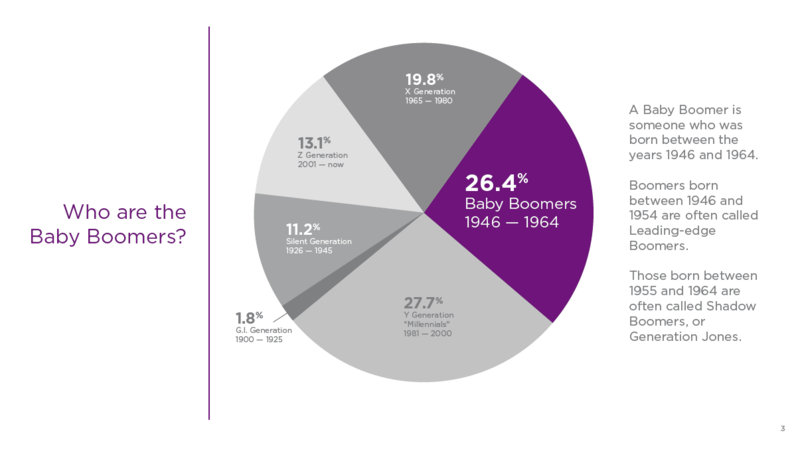 In fact, when considering their marketing and business plans, US companies never ignore the baby boomers. British baby boomers held four-fifths of the country’s wealth in 2004, according to Duncan Walker in a BBC News article – Live fast, die old. In that year, they purchased 80% of all luxury cars, 50% of skincare products, and 80% of cruises. Baby boomers were part of the 1960s’ counterculture, the ‘second wave’ feminist cause of the late 1960s and 1970s. They were also very active participants in the civil rights movement. Many baby boomers became conservatives, especially those who went into law enforcement, business, blue-collar trades, the military, and politics. Others, on the other hand, became part of what we call the ‘Me’ generation. The ‘Me’ generation was a generation of individuals characterized by selfish materialism. Tom Wolfe, an American journalist and author, dubbed the 1970s the Me Decade. Wolfe commented on the growth of narcissism among young people during that decade. America’s last four presidents – Bill Clinton (born 1946), George W. Bush (born 1946), Barack Obama (born 1961) and Donald Trump (born 1946) – are baby boomers. Conspiracy theorists wonder why three of the last four US Presidents were born in the same year. Most of President Trump’s supporters during the 2016 election campaign were of the baby boomer generation. 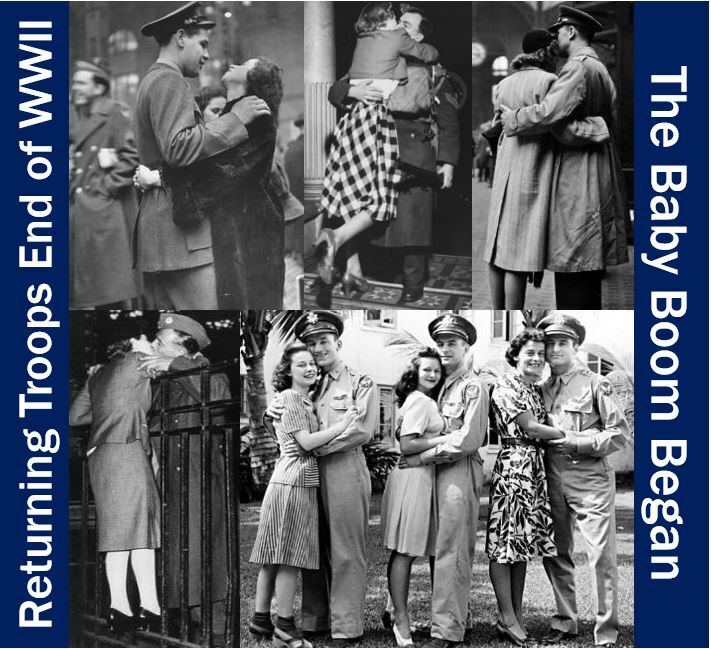 When WWII was over, couple’s who had postponed starting a family – started having one. The huge reconstruction effort meant that there were plenty of jobs and overtime pay. In other words; there was long-term economic security. 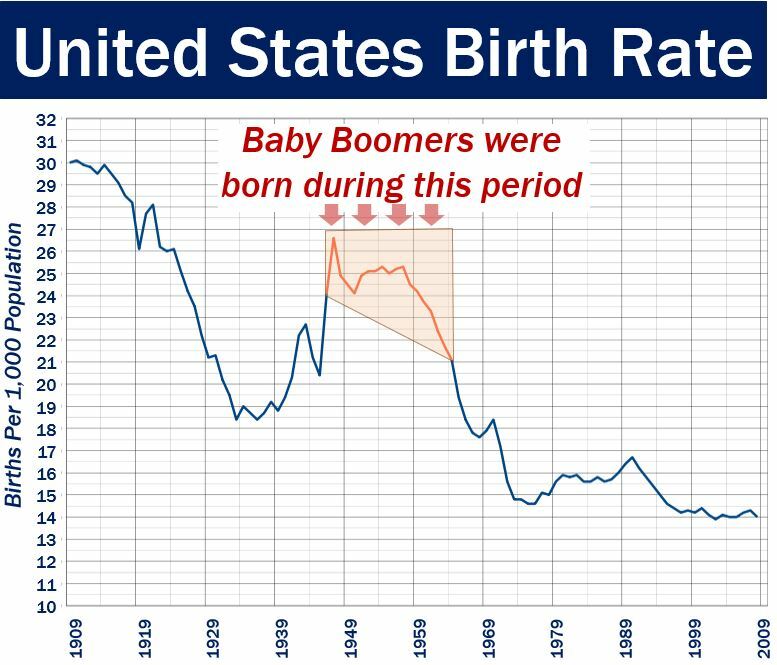 It was the beginning of the baby boom – the birth of the baby boomers. Baby boomers grew up during a period of dramatic social change. In the US, Canada, Western Europe, and Australasia a strong cultural gap appeared. A giant gulf emerged between the proponents of change and their more conservative counterparts. There was also a wide generation gap between baby boomers and their parents. Most baby boomers became more conservative as they got older. Many of them regretted their earlier wild ideas and lifestyles. In 1993, Time magazine quoted sociologist Wade Clark Roof. Roof’s study found that approximately 42% of baby boomers were dropouts from formal religion, while 33% had remained regular church goers. The other 25% had returned to religious practice. The baby boomers who returned to religious practice clashed with others in their congregations. The lifetime regular churchgoers still had very conservative ideas, especially regarding homosexuality and abortion. On both sides of the Atlantic, the early- and mid-boomers were coming of age at the same time. They experienced events like Woodstock, Beatlemania, and the Make Love Not War movement. In fact, baby boomers made up virtually the entire Hippie movement. Baby boomers in India sought new philosophical discoveries. Many American boomers moved to Canada to escape the draft, while Canadian boomers were organizing support for Pierre Trudeau. In the United States, early baby boomers tend to be Democrats, while the later ones are more likely to be Republicans. People initially used the term simply with reference to the 1946-1964 birth rate peaks of the US and UK. Gradually, the connotations of the term widened. This video talks about how the baby boom happened.